More than just a Tea Party. . . It's a Liberty Revolution! known speaker on the U.S. Constitution and Constitutional Law. works diligently, without charge, to provide its clients with all the legal support they need. but how do we keep it that way? dedicated to protecting religious liberty in the courts. Our story began in 1971 with the realization that Americans were losing sight of the incredible “Freedom Formula” our founding fathers gave their lives for. It became the mission of the National Center for Constitutional Studies (NCCS), originally called The Freeman Institute, to restore the U.S. Constitution in accordance with the intent of America’s Founders. The Constitution Association believes in strength in numbers. We have filled the city council chambers in Menifee and Murrieta over property rights issues, and a school board meeting in Temecula to support a 6 year old girl who was silenced in class for daring to recite John 3:16 during a presentation regarding her family traditions regarding the "Winter Holiday." We also routinely visit out local, State and Federal officials as a group, and we participate in various rallies and events throughout our area. 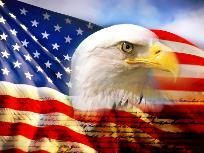 The Constitution Association's mission includes impacting elections both locally and nationally through a system of chapters around the country, by creating a powerful presence on the internet, and by promoting Republic Review (a grassroots effort to hold a convention of State legislatures to audit the federal government, which can be a catalyst for nullification, Article V. Convention, and a return to State dominance over the constitutionally subservient federal government. As division spreads among Americans, we believe we should work together using what we have in common. . . a firm reliance on Divine Providence, and the understanding that the United States Constitution was the blueprint that created the greatest republic in history. 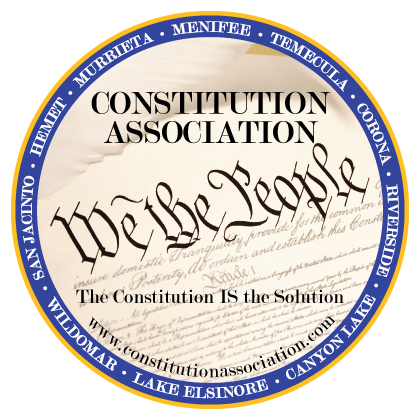 The Constitution Association is a research and education oriented organization founded May 4, 2013 and Incorporated July 23, 2015. Learn about Melissa Melendez at: The official campaign Facebook page Also: "Melissa's Story"
Whether you are a lifetime advocate or new to our cause, we invite you to join us. We welcome new ideas and value enthusiasm from members and volunteers, new and old. Learn more by contacting us at constitutionspeaker at yahoo.com.